Affordable Nokia Smartphone in review. 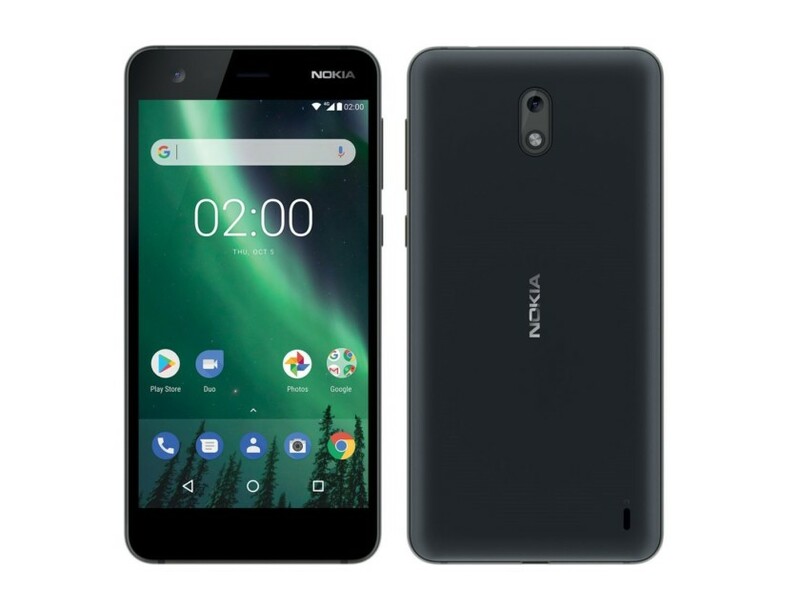 HMD Global has released the Nokia 2, a €119 (~$147) Android smartphone with a monster battery. Find out in our review how the Nokia 2 fares in practice. Positive: High autonomy; good price; nice display. Positive: Nice display; good hardware; decent cameras; large battery capacity. Negative: Plastic case. Positive: Large battery capacity; excellent display; decent hardware. Negative: Poor cameras. Positive: High autonomy; nice design. Negative: Weak hardware. Positive: Elegant design; solid workmanship; support dual SIM; decent cameras. Negative: Weak hardware. Positive: Impressive design; very long battery life; good price; nice display; good performance. Negative: Poor cameras. Positive: Attractive design; long battery life; nice display; decent hardware; good price. Negative: Plastic case. Positive: Stylish design; decent hardware; good price; high autonomy. Positive: Long battery life; good price; support 4G LTE. The Nokia 2.1 succeeds the Nokia 2 and manages to be both cheaper and more powerful than its predecessor. The amount of RAM and flash storage are still meagre though, but the device runs Android One Oreo Edition, which should mean that it remains updated with the latest security patches. Find out in our review for whom the Nokia 2.1 is suited and what buyers can expect from the device. Positive: Smooth firmware; long battery life; quick charging. Negative: Plastic case. Positive: Beautiful display; decent hardware; nice cameras; metal case; stylish design; large battery capacity. Positive: Solid workmanship; bright screen; decent speakers; high autonomy; separate microSD slot. Negative: No fingerprint sensor; poor cameras; mediocre connectivity. Positive: Attractive design; large battery capacity; nice performance; low price. Positive: Low price; decent speakers; nice design. Qualcomm Adreno 304: Integrated mid-range graphics card in the Snapdragon 210 SoCs that supports OpenGL ES 3.0 and features unified shaders.Qualcomm Adreno 308: Integrated mid-range graphics card in the Snapdragon 425 SoCs that supports OpenGL ES 3.0 and features unified shaders. » Further information can be found in our Comparison of Mobile Graphics Cards and the corresponding Benchmark List. 212 APQ8009: Entry-level SoC with four ARM Cortex-A7 cores at max. 1.3 GHz. 425: Entry-level SoC that was announced in February 2016. It integrates 4 ARM Cortex-A53 CPU cores clocked at up to 1.4 GHz, an LPDDR3 memory controller and wireless radios for WiFi and 4G/LTE. 62.46%: Such a bad rating is rare. There exist hardly any notebooks, which are rated worse.» Further information can be found in our Notebook Purchase Guide.